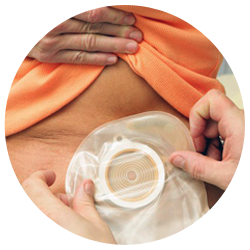 The workshop teaches carers and support staff the correct technique and methods of changing a stoma bag, as well as giving them examples of the different types of stoma bags. This workshop also explains the importance of maintaining effective infection control and the value of privacy, dignity, and respect for the service user. Please note: Participants will be issued with a certificate of completion valid for a period of 1 year. Join our mailing list to receive the latest news and updates from Set2Learn. Thank you for subscribing! Go to your email to confirm your subscription.